808nm diode laser hair removal machine is best for absorbing melanin so that can effect in different parts and hair follicle and reach to removing any hair effectively. From the diagra, we can see 808nm is best for absorbing melanin and less absorbing others. 808nm diode laser hair removal machine uses penetrate technology and skin absorbs fewer lasers and no pigmentation. 1. Touch screen is the main operation and display part of the hair removal system. 2. Adopting the blue and white color,the interface is consise,readable and considerate. 3. According to the ergonomics,the operator interface is designed seperately for both male and female. 5. You could only do the parameter setting, mode switch, refrigerator opening and shutdown during standby mode. and ready and use the laser. 1. How does the diode system remove hair? The cooling tip has a mild aesthetic property, which allows tender areas to be treated in a relatively painless fashion. 4. Do I need to grow the hair out before my consultation / treatment? Xi'an Taibo Electronic Technology Co., Ltd. takes the leading in applying advanced laser and Intense light technology in beauty industry. 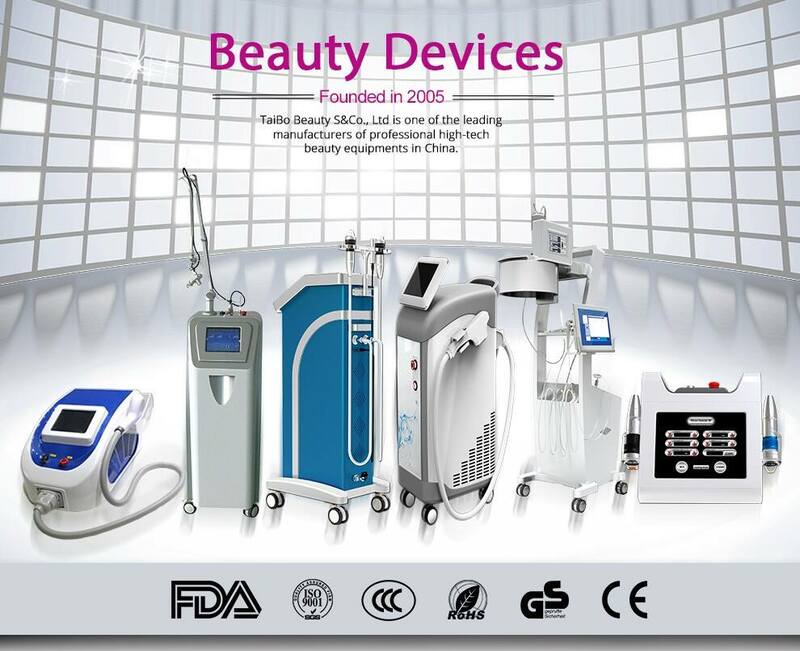 Now we developed IPL series, E-light, Co2 fractional laser, 808nm diode laser, ultrasonic cavitations, fractional RF and hair re-growth laser, 980nm diode laser, Water oxygen jet peel, cryolipolysis, RBS vascular removal, HIFU skin tightening, q switch nd yag laser, hifu slimming, lipo laser, etc. With efficient R & D team, mass production ability and reliable quality control system, we supplies the OEM & ODM service and help our clients build up their own reputation and more competitive in the market. All the process of the producing is under ISO13485 Quality system and match with CE certification request.